Burns can be one of the most painful injuries a person can experience. Whether burns occur in the home or in an outdoor setting, from flames or water too hot, keeping kids safe from burns is important. Safe Kids Grand Forks is pleased to work in partnership with the Grand Forks Fire Department to spread the safety messages related to fires and burns. Each year nearly 500 children die in residental fires. 85% of these children are under age 10, and more than 56% are ages 4 and under. Smoke alarms are extremely effective at preventing fire-related deaths and injury. The chances of dying in a residential fire are cut approximately 50% when a working smoke alarm is used. If you or your family do not have a smoke detector in your home, please contact us for assistance with obtaining one. As a reminder, batteries should be CHECKED monthly and CHANGED twice a year when you change your clocks in the spring and fall. Below is a link to a smoke alarm safety checklist that can be used by your family to keep track of this important safety step. 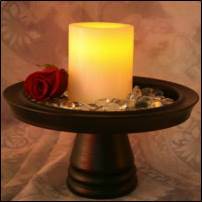 Safe Kids Grand Forks has a small assortment of flameless candles available for sale to create a safer home environment. The candles are made of real wax, have a vanilla scent and "flicker", just like a real candle. They are great for homes with small children or pets, when decorating near garland or other materials that could catch on fire or for front steps on Halloween when kids are coming by in costumes. Contact us for more information. Click here to view the product flyer. If a child is injured by fireworks, immediately go to a doctor or hospital. If an eye injury occurs, don't allow your child to touch or rub it, as this may cause even more injury. Safe Kids offers fire and burn prevention resources for adults and children, along with links to other safety resources. Visit the Fire and Burn Prevention website for teacher resources and presentations, safety games, coloring pages, quizzes, and many other valuable resources. The National Fire Protection Association (NFPA) has teamed up with Safe Kids Worldwide to offer tip sheets on dozens of fire related safety topics. Visit the NFPA website for more information.